Are your spidey senses tingling? Welcome international Marvel comics artist Jorge Molina to Oz Comic-Con Melbourne! Jorge Molina is a Mexican comic artist and illustrator with more than a decades experience in the industry, working on major franchises such as A-Force, Thor, Star Wars & X-Men Blue. He most recently has been working exclusively with Marvel Comics on his new Spider-Man comic, Spider-Geddon. 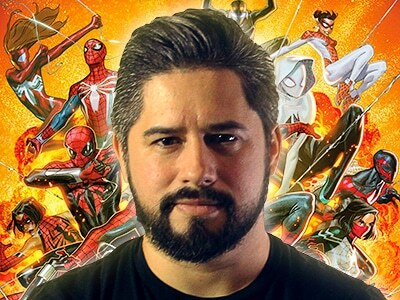 If you haven’t had the pleasure, be sure to check out the action-packed Spider-Geddon ahead of Oz Comic-Con Melbourne, and catch Jorge at the show!